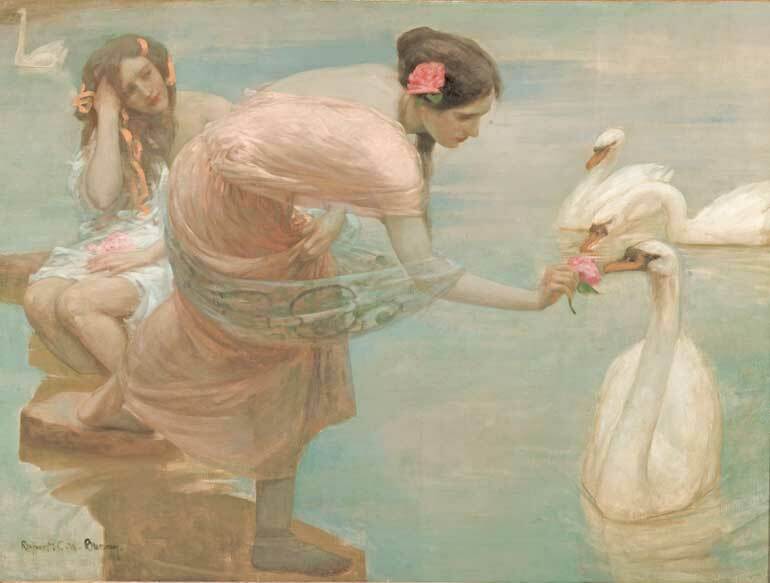 Rupert Bunny (1864–1947) is an exotic in the history of Australian art. A creator of grand, sumptuous paintings of Parisian life in the late 19th century, Bunny became one of the most successful artists of his generation. Bunny’s romantic portrayals of beautiful women at leisure capture the charm and idyllic life of France’s 'beautiful era’ – the seemingly endless summer of the belle époque. His dream-like paintings of mythological scenes reveal an inspired and imaginative view of life and art. Rupert Bunny’s international success over the five decades he spent in Paris saw his work exhibited throughout Europe and collected by the leading museums. He also led a fascinating and cosmopolitan life with Nellie Melba, Auguste Rodin, Claude Debussy and Sarah Bernhardt among his acquaintances. This major exhibition celebrates an exceptional Australian artist and includes over 100 of Bunny’s works from collections in Australia, London and Paris – some never seen before in Australia.